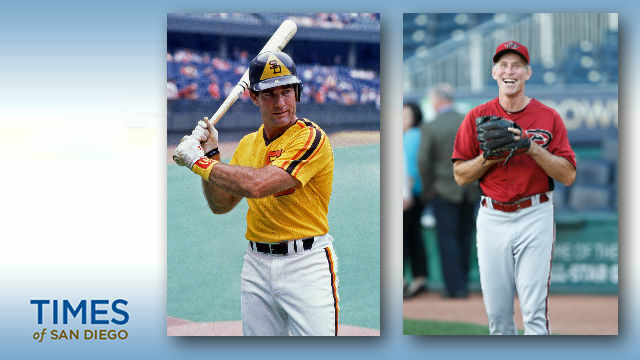 Alan Trammell, who grew up in San Diego, and Steve Garvey, who spent the last five years of his career with the Padres, will be considered for induction to baseball’s Hall of Fame, the organization announced Monday. Trammell, who attended Kearny High School, was a six-time All-Star during 20 seasons with the Detroit Tigers and was the Most Valuable Player of the 1984 World Series against his hometown Padres. He also won four Gold Gloves as a shortstop. Garvey is best known locally for his game-winning home run that allowed the Padres to tie the 1984 National League Championship Series against the Chicago Cubs at two games apiece. The Padres won the finale in an era in which league titles were determined in a best-of-five format. Garvey began his career with the Los Angeles Dodgers, where he was the National League Most Valuable Player in 1974. Others who will be considered by the 16-member Modern Baseball Era Committee are Tommy John, the surgically eponymous pitcher; New York Yankees first baseman and current Miami Marlins manager Don Mattingly; players union boss Marvin Miller; clutch post-season hurler Jack Morris; Atlanta Braves slugger Dale Murphy; Pittsburgh Pirates outfielder Dave Parker; catcher Ted Simmons, who subsequently spent time in the Padres’ front office; and often dominant pitcher Luis Tiant. Any candidate who receives votes on 75 percent of the ballots on Dec. 10 will earn election to the National Baseball Hall of Fame and will be inducted in Cooperstown on July 29. Separately Monday, Major League Baseball announced three finalists each for eight major post-season awards. Two of the selections for National League Manager of the Year were Dodgers manager Dave Roberts, a former Padres player and coach, and graduate of Rancho Buena Vista High School in Vista, and longtime former Padres manager and San Diego State alumnus Bud Black, now leading the Colorado Rockies. Stephen Strasburg of the Washington Nationals, who grew up in Santee and also played at SDSU, is a finalist for a Cy Young Award as the National League’s best pitcher.